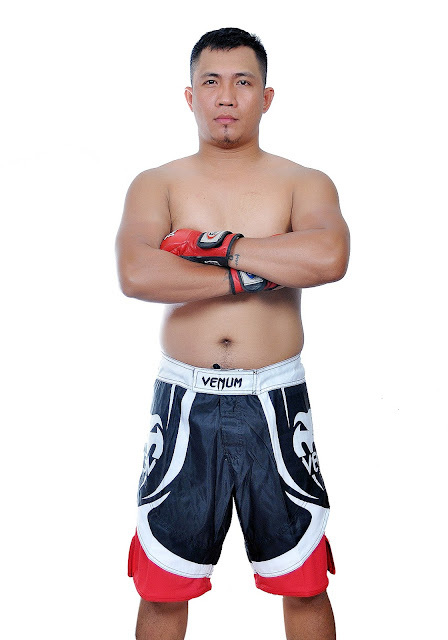 After years of strutting his wares in the local ranks, Filipino martial artist Roel “Akiyama” Rosauro finally gets his long-awaited break into the international scene as he is set to make his promotional debut in ONE Championship on 23 February. Rosauro is slated to square off with Chinese prospect Li Kai Wen in a three-round featherweight bout on the undercard of ONE: QUEST FOR GOLD, which takes place at the Thuwunna Indoor Stadium in Yangon, Myanmar. 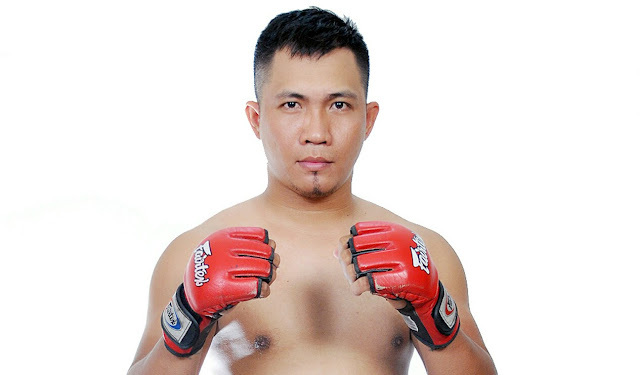 The 29-year-old native of Cebu, Philippines stepped in as a replacement for compatriot Rodian Menchavez, who was forced to withdraw from his clash with Li at the aforementioned event due to an injury. Rosauro is the fifth Cebuano to showcase his skills on Asia's premier martial arts stage, following in the footsteps of Cary Bullos, Vaughn Donayre, Eugene Toquero and Jimmy Yabo. Holding a professional record of 4-1, Rosauro is a practitioner of the Filipino martial arts discipline Yaw-Yan, which was derived from the last two syllables of Sayaw ng Kamatayan meaning "Dance of Death." Yaw-Yan is a Filipino style of kickboxing, which was developed by the late grandmaster Napoleon “Nap” Fernandez to specifically suit the smaller Filipino body frame. It closely resembles Muay Thai, but Yaw-Yan differs in the hip-torquing motion as well as the downward-cutting nature of its kicks with emphasis on delivering attacks from long range. Rosauro sees his maiden appearance in ONE Championship as an opportunity to showcase Yaw-Yan in front of a worldwide audience as the live events of the organization are broadcasted to over 1.7-billion potential viewers across 136 countries. “Yaw-Yan's ultimate goal is to preserve, promote and continuously improve and further develop our very own Filipino martial arts. As I make my debut in ONE Championship on February 23, I have the chance and honor to formally introduce Yaw-Yan to the world and showcase its strength and beauty,” he stated. Rosauro will pay his respects to Fernandez, who passed away this past January at the age of 92, by dedicating his international martial arts debut at ONE: QUEST FOR GOLD to Yaw-Yan’s deceased grandmaster. “I wouldn’t be here at this point of my career if not for Yaw-Yan. Grandmaster Nap paved the way for all of us. Now that I am part of ONE Championship, I will honor his great work and represent Yaw-Yan on the global stage with pride,” he stressed. Rosauro has honed his skills under the tutelage of Benigno “Ekin” Caniga Jr., the headmaster of the Cebu chapter of Yaw-Yan Ardigma. As he steps inside the ONE Championship cage for the first time at ONE: QUEST FOR GOLD, Rosauro has been working on his ground game, which paid dividends when he won a silver medal at the recent Dumau International Jiu-Jitsu Tournament. Li has already faced some of the best athletes in the promotion’s 70.3-kilogram weight class, including two-division world champion Martin “The Situ-Asian” Nguyen, who defeated him via first-round stoppage in April 2016. “I’m putting pressure on my training because this came all of a sudden. He’s a striker and a brawler, and I think he’s also a champion in Brazilian Jiu-Jitsu. But in this fight, I believe that he will be striking,” Rosauro shared. Although he has a tough opposition on 23 February, Rosauro is confident that he could notch a decisive triumph in his favor. “It is a difficult task, but I know deep in my heart that I can do it. It’s a once-in-a-lifetime opportunity. I am not here to waste it,” he ended.